Hopelessly Devoted Bibliophile: The Paradise Prophecy Giveaway! A HUGE thanks to Penguin for allowing me to host this! 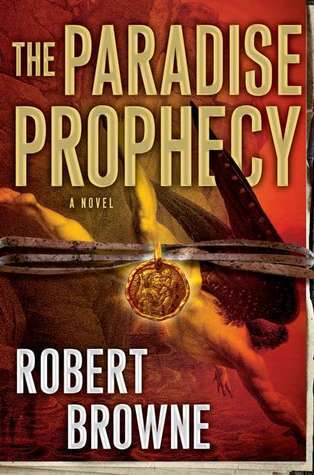 On July 21, 2011 Robert Browne released a book that caused a stir among readers and critics. Although it was just published in July, the film rights have already been optioned by the producers of the Twilight franchise, leaving fans anxious for the second installation. I was lucky enough to receive a copy of this for review, and I cannot wait to devour it! You can check out the Goodreads page to add it to your reading list, or watch the trailer below. Either way the point remains, you need a copy of this book. Lucky for you, Penguin has allowed me to give away a copy! 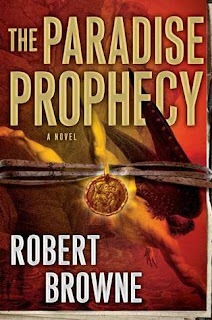 One winner will receive a copy of The Paradise Prophecy directly from the publisher. You must be a resident in the U.S. or Canada, or have a mailing address within these areas. Giveaway ends August 23, 2011.